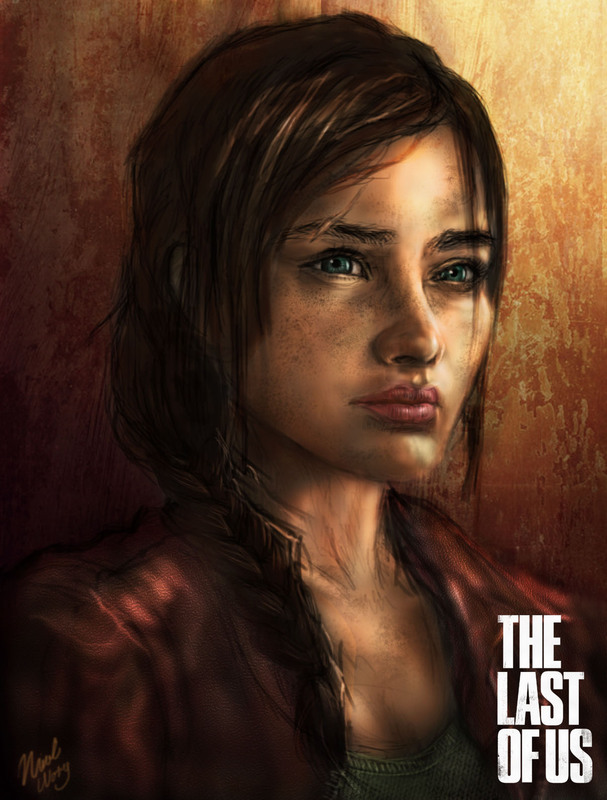 What would Ellie from the Last of US look like if she was older? Ice-Wolf-Elemental, also known as Nikki from New Zealand and one of the artists from our deviantART group who answered the call to join the group of artists featured on Game-Art-HQ,com asked herself this question and gave the idea to draw her as a grown up woman a shot. I think the result looked awesome and that’s the reason why this little blog exists. Personally I look totally forward a The Last Of Us sequel with completely new protagonists bt would like to see both Ellie and Joel return with updated /aged designs and character developments. Would just be nice to see what happened with them after the TLOU events! This imagination of how Ellie could look was drawn in around 6-7 hours. Used was Photoshop CS6 as well as a Bamboo Wacom Tablet. Welcome on board @ Nikki!